What's new? > How to estimate a suspended ceiling? 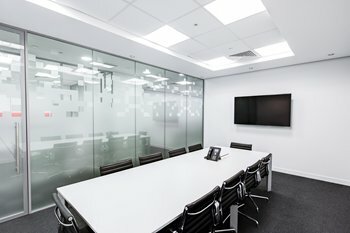 How to estimate a suspended ceiling? What once was a long and hard process to calculate is now easy and accessible to everyone with our suspended ceiling calculator. With the help of the new and first CAD (Computer-Aided Design) application from the Virtual Constructor, it is no longer necessary to be an expert in the field to define the quantities of products and accessories needed. Simply follow the very intuitive menu in this new web and mobile application that will democratize suspended ceiling estimation by enabling anyone to trace complex plane surfaces with precise measurements to obtain the materials list. The innovation resides in the fact that once the perimeter is completed, the calculations of tile quantities, accessories required and price estimate are already done and automatically displayed instantly on the screen. Many functions enable things like multiplying the tile positions, place start points in the vertical and horizontal axes and also to optimize your choice of plan to get minimal material losses or the best price possible. Finally, it is possible to print the materials list and the plan that will serve to make the necessary and required purchases in a hardware store to carry out your suspended ceiling project. That you either be a skillful master, a total newbie, a construction specialist or an hardware store employee, this new application is accessible online at all times and on several of our store partner’s websites. The Virtual Constructor’s team is proud to publish this first new CAD type suspended ceiling application to which many projects will add themselves to ultimately offer the best possible estimation experience online. Do not hesitate to share your appreciation and comments on your social media outlets and to subscribe to our electronic newsletter!